Rev Matt Hale and Gary Yarbrough are being held at the infamous ADX Florence Super Max Prison. A petition to allow Rev Matt Hale to take a polygraph test and a petition for Gary Yarbrough to be paroled need to be signed and circulated by White Racial Loyalists around the world. If you are signing the Rev Hale petition take another minute and sign the Gary Yarbrough petition and vise versa. These men did a lot for our folk and a signature is the least we can do to try and help them out. Since January 8, 2003, Rev. 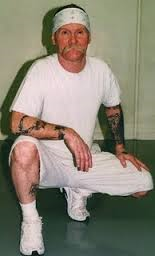 Matthew F. Hale is in Federal custody, most of the time in solitary confinement at the ADMAX federal penitentiary of Florence, Colorado (the “Alcatraz of the Rocky Mountains”). He was sentenced to 40 years in jail on the 8th of April, 2005 for allegedly soliciting an undercover FBI informant to kill federal judge Joan Lefkow, a deed he’s always denying since over 11 years. So, please sign this petition which will be sent to David Bindi, US Attorney and present Illinois State prosecutor who, until now, refused to allow Matthew F. Hale to take this lie test. Since January 8, 2003, Rev. Matthew F. Hale is in Federal custody, most of the time in solitary confinment at the ADMAX federal penitentiary of Florence, Colorado (the “Alcatraz of the Rocky Mountains”). He was sentenced to 40 years in jail on the 8th of April, 2005 for allegedly solliciting an undercover FBI informant to kill federal judge Joan Lefkow, a deed he’s always denying since over 11 years. So, please allow Matthew F. Hale to take this lie test and prove that he never intended to do any harm to Judge Lefkow. Gary Yarbrough has spent more than enough time in prison. We want Gary Yarbrough paroled now! It's time for Gary to come home. Gary Yarbrough has been incarcerated for a quarter of a century. Many of us can't remember where we were 25+ years ago. Since Gary has been gone I've had 2 grandchildren an 2 great-grandsons. Further incarceration will serve no use-full purpose. What does it cost us, the taxpayer, to keep a man locked up for a year ? Multiply that x 25. We've spent enough money on Gary who deserves an opportunity for parole. Enough is enough ! Petition to have Gary Yarbrough Paroled now! To you and all my folk who have blessed me with your love, fellowship, and support. I am a very lucky man to have you all in my life. It is a wonderful thing and a beautiful feeling to know that I have the love of my wife, and folk to help me when I fall. It gives me the will, the strength, and the courage to stand up and face my/our oppressors. And I will stand, until my last breath! After that you will hear me curse them from the grave! I received dozens of cards and letters over the past 3 or 4 weeks, kind words, and well wishes from my brothers and sisters all over the world. It all brought tears to my eyes, and was a great boost to my spirits. Over the passed 9 years the oppressors have frustrated my communications in order to isolate and alienate me from my comrades and folk, to break my spirit and to silence my voice, which shows that I am worthy of my Cause. I want you all to know that I love you all, that I would not be here but for my love of my folk. I answered every card and letter I received, but I’m sure the tyrants likely “confiscated” some of them. There is on rhyme or reason to this theft, some they steal, some they don’t. Just know that I continue to serve my folk, as I always have, as I always will. I will never betray my trust or my folk! I was told in 1983 that Pastor Butler got a call from someone who claimed and bragged that they would use me to break the spirit of our cause. I promised that this would NEVER happen, and I have stood by that promise regardless of the fires of tribulation. They are trying to do just that. I will say now, but for you all, I’d have given up years ago. We invested in the future generations, as our ancestors did, and to whom we are indebted. My life is not my own to do with as I please, but I know one thing for certain—I will stand with you all, beside my wife at the victory feast, when the vultures feast upon the corpses of those who oppose truth and justice. It is impossible for us to lose. The conflict of the ages is upon us, and our victory is secure. Never surrender, never give up, give the good fight your very best! In the wake of the recent murders of the employees of the French newspaper "Charlie Hebdo," Reverend Matt Hale, America's foremost political prisoner and former leader of the pro-White and anti-Jewish Church of the Creator, today commented on the hypocrisy of the French government which claims to protect freedom of speech on the one hand but which criminalizes the so-called "hate speech" of White Frenchmen on the other.
" The murders at the French satirical newspaper are horrible and there are no two ways about that. However, the idea that France is a bastion of free speech is a sick joke when you consider the fact that White racist speech is against the law and our White brethren there are routinely arrested for speaking out about the non-white invasion of their country. So, when the French government, with crocodile tears in its eyes, loudly proclaims that it will stand up for the freedom of speech of its citizens against those non-white invaders who would try to silence that speech with terrorism, it is guilty of rank hypocrisy and it had better look in the mirror at itself. The sad and simple fact of the matter is that actual Frenchmen—the White people of France—have less right to speak their minds than the mongrel Muslims that the traitor politicians have allowed into the country. That needs to change and change immediately if the lousy French government is to have any credibility at all in the midst of this ongoing controversy. Frenchmen must be allowed to openly call for the departation of all non-whites from France. Only then will anybody be able to honestly say that France believes in freedom of speech. The French Nazi Party must furthermore be legalized and any and all restrictions on so-called 'hate speech' must be thrown out. When that happens, we will finally be able to say that France truly believes in freedom of speech." move to dismiss Plaintiff’s Amended Complaint (Doc. 10). Plaintiff has failed to state any plausible claim under the First, Fifth or Eighth Amendments, or the Religious Freedom Restoration Act (RFRA), 42 U.S.C. § 2000bb et seq. There is no waiver of sovereign immunity for certain aspects of the relief Plaintiff seeks. In that role, Plaintiff solicited the attempted murder of a federal judge who had issued a ruling against his group in a civil case. Prison management decisions that reject Plaintiff’s attempts to continue to lead this organization from his prison cell, and that allegedly limit his ability to adhere to all of its precepts while he is incarcerated, do not violate the Constitution or RFRA. The individual defendants are entitled to qualified immunity because their decisions about how to manage Plaintiff’s confinement violate no clearly established law. Plaintiff was the leader – the “Pontifex Maximus” – of an organization formerly known as the World Church of the Creator (“World Church”). Hale v. United States, No. 1:08 CV 94, 2010 WL 2921634, *1 (N.D. Ill. July 22, 2010).1 World Church became embroiled in a trademark battle with another organization using the title “Church of the Creator.” Id. (citing TE-TA-MA Truth Foundation-Family of URI, Inc. v. World Church of the Creator, 297 F.3d 662 (7th Cir. 2002)). Foundation-Family of URI, Inc. v. World Church of the Creator, 246 F. Supp. 2d 980, 982 (N.D.
Ill. 2003). 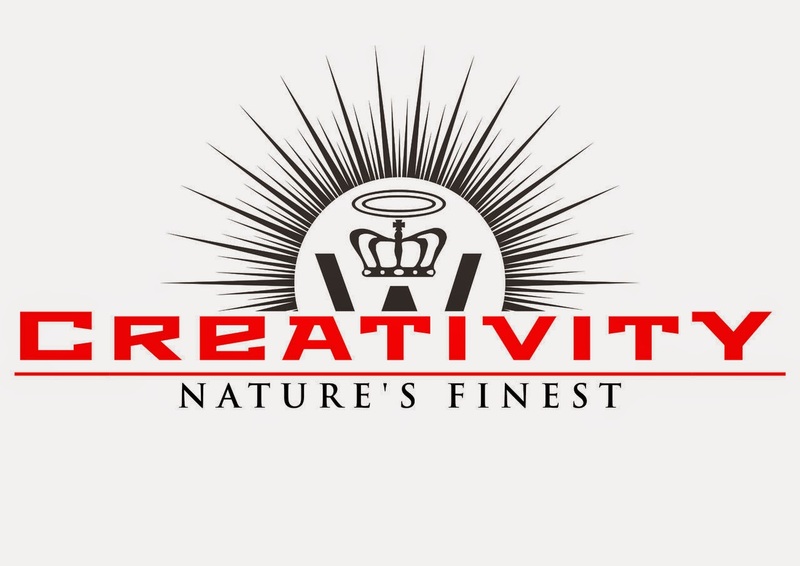 As a result, World Church now goes by the name “Creativity Movement.” Hale v.
United States, 710 F.3d 711, 712 (7th Cir. 2013). The group – under both its previous and current incarnations – has a history of violence. Benjamin Smith, a follower of Plaintiff, went on a shooting rampage in July 1999 that targeted black, Asian and Jewish victims. Smith killed two people and wounded nine others before killing himself. United States v. Hale, 448 F.3d 971, 975 (7th Cir. 2006) (observing that, in his eulogy to Smith, “Hale told his followers that ‘brother Ben Smith was a very good man’ and praised Smith’s willingness to ‘take action for his people, not to sit in the easy chair and allow life to go by but to go out into the world and spread our sacred message’”). Smith’s rampage was undertaken for the purpose of avenging the decision to deny Plaintiff a license to practice law in Illinois. See id. (observing that Smith’s shooting spree began “[d]ays after Hale had publicly announced he was denied an Illinois law license”); see also Hale v. Committee on Character and Fitness for the State of Illinois, 335 F.3d 678, 687 (7th Cir. 2003) (holding that federal court lacked jurisdiction over state court’s decision to let stand the rejection of Plaintiff’s application to practice law). Should the Jewish Occupational government use force to violate our Constitutional rights . . . then we have every right to declare them as open criminals violating the Constitution and the highest law of the land. They then obviously are the criminals, and we can then treat them like the criminal dogs they are and take the law into our own hands . . . We must then meet force with force and open warfare exists. It will then be open season on all Jews.Hale, 2010 WL 2921634, *25 (emphasis added). The White Man’s Bible was written by Ben Klassen, who “is considered a prophet” by Plaintiff and his followers. Doc. 10 at ¶ 12. Plaintiff alleges that The White Man’s Bible is “Holy Scripture and sacred” to the adherents of the Creativity Movement. Doc. 10 at ¶ 5. Plaintiff was found guilty of solicitation to commit a crime of violence – the murder of Judge Lefkow – and obstruction of justice. Id. He was sentenced to 480 months in prison. Hale v. Ashcroft, 683 F. Supp. 2d 1189, 1191 (D. Colo. 2009). The conviction and sentence were affirmed. United States v. Hale, 448 F.3d 971 (7th Cir. 2006), cert. denied, 549 U.S. 1158 (2007); see also Hale, 2010 WL 292163, *37 (denying motion to vacate conviction under 28 U.S.C. § 2255). After Plaintiff’s trial, one of his followers was convicted of soliciting the murder of the foreperson of the jury in Plaintiff’s criminal case. United States v. White, 610 F.3d 956 (7th Cir.2010); see also United States v. White, 698 F.3d 1005 (7th Cir. 2012), cert. denied, 133 S. Ct. 1740 (2013) (reversing judgment of acquittal entered by the district court and reinstating White’s conviction). The follower, who posted on his website that “everyone associated with the Matt Hale trial has deserved assassination for a long time,” identified the juror by name and posted a color photograph of the juror. Id. at 962 (emphasis added). Consistent with the group’s desire to achieve “total racial separation so as to stop the mixture, and hence destruction of White culture and genetic stock” (Doc. 10 at ¶ 7), the Creativity Movement has “Five Fundamental Beliefs,” including the belief “that what is good for the White Race is the highest virtue, and what is bad for the White Race is the ultimate sin.” Hale, 710 F.3d at 712; see also id. at 715 (observing that “[t]he Creativity Movement is racist,” and holding that “Hale’s hatred of blacks did not entitle him to an all-white jury.”). “Creativity teaches that ‘The Jew is the root of all evil’ and that Judaism is essentially a conspiracy against all non-Jews designed to manipulate and dominate the world.” Doc. 10 at ¶ 78. Plaintiff has an exalted status among the followers of Creativity. He held the position of “Pontifex Maximus” (“highest priest”) from 1996 to 2006, even though he has been in prison since January 2003. Doc. 10 at ¶¶ 20, 21. Plaintiff admits that he retains stature in the Creativity Movement: “Thousands of Creators worldwide recognize Reverend Hale as a minister in the Church and recognize Creativity as their religion.” Id. at ¶ 18. Creativity has a holiday known as “Matt Hale Day.” See Birkes v. Mills, No. 03:10-cv-00032, 2011 WL 5117859, *4 (D. Ore.Sept. 28, 2011), adopted, 2012 WL 930243 (D. Ore. Mar. 19, 2012). One of the requirements for followers of Creativity is that they “must proselytize” by communicating their ideas to others. Doc. 10 at ¶ 9. Plaintiff alleges that his only means of proselytization is through the mail, by which he “is able to share with others his religious, ideological and philosophical views on a host of subjects.” Id. at ¶ 25. He asserts that the people in the Creativity Movement who want to write to him “look to him for guidance as their minister.” Id. at ¶ 16. Plaintiff has been incarcerated in the ADX since April 2005. Doc. 10 at ¶ 26.3 From 2003 until February 25, 2009, Plaintiff was subject to limitations on his communications called Special Administrative Measures, or “SAMs,” which are imposed at the direction of the Attorney General to prevent acts of violence and terrorism. Hale, 683 F. Supp. 2d at 1192; see also 28 C.F.R. § 501.3. Between the time the SAMs were removed in February 2009 and before July 2010, Plaintiff wrote an article for the Creativity Movement in which he “stated that he was reassuming his leadership as Pontifex Maximus, pro tempore (“for the time being”)[. ]” Doc. 10 at ¶ 31. In response to Plaintiff’s statement asserting his intention to direct the followers of the Creativity Movement, Plaintiff was placed on “Restricted General Correspondence” status pursuant to 28 C.F.R. § 540.15. See Doc. 10 at ¶ 31. Section 540.15 allows a prison warden to limit an inmate’s social correspondence to certain individuals based upon an assessment that the inmate has engaged in misconduct “or as a matter of classification.” See 28 C.F.R. § 540.15(a). One of the “determining factors” for placing an inmate on Restricted General Correspondence status is that the inmate has been assessed as “[b]eing a security risk.” Id. at § 540.15(a)(3). Your recent correspondence with Creativity Movement members, Creativity Member leaders, and other white nationalist extremists poses a special threat to the security and good order of the institution, protection of the public, and national security insofar as your unlimited general written correspondence might facilitate further criminal activity. Restricting your general correspondence is justified as you are considered a “security risk” pursuant to Federal Bureau of Prisons’ (Bureau) Program Statement 5261.11, Correspondence, section 12.a.(4). The correspondence restriction limited Plaintiff’s social mail to verifiable members of his immediate family (spouse, children, parents and siblings). Ex. 1 at 1. Plaintiff was advised that a review would be conducted in six months to determine whether the restrictions should be continued. Id. At the end of the six-month period, in January 2011, the Restricted General Correspondence status was removed. Doc. 10 at ¶ 39. Beginning in July 2012, Plaintiff began issuing monthly “sermons” to his fellow “Creators.” Id. at ¶ 43. According to him, these sermons urged his followers to “refrain from violence,” among other messages. Id. In his view, the sermons “would be helpful both to his Church, his religious faith, his fellow believers and those of like mind, as well as to law enforcement and society in general.” Id. The BOP saw it differently. In January 2013, Plaintiff again was placed on Restricted General Correspondence status. Id. at ¶ 48; see also January 28, 2013 Notice to Hale, Matthew re: Restricted General Correspondence Status, Ex. 2 at 1 (advising Plaintiff that his correspondence with Creativity Movement members and leaders “and other white nationalist extremists poses a special threat to the security and good order of the institution, protection of the public, and national security”). • The allegedly religiously-motivated restrictions on Plaintiff’s correspondence and the refusal to provide to him “religious scripture,” combined with his incarceration in the ADX, violate the Eighth Amendment (Claim Eleven, ¶¶ 127-130). For relief, Plaintiff seeks a declaration that 28 C.F.R. § 540.15, the regulation that allows a prison warden to restrict an inmate’s social correspondence (including for security reasons), “is unconstitutional on its face and as applied” to him. Doc. 10 at 32. He seeks injunctive relief against the BOP. Id. ; see also Simmat v. U.S. Bureau of Prisons, 413 F.3d 1225, 1233 n.9 (10th Cir. 2005) (holding that 5 U.S.C. § 702 is a waiver of sovereign immunity for constitutional claims by inmates seeking injunctive relief against the agency). He purports to seek injunctive relief against the individuals, as well as money damages pursuant to Bivens v. Six Unknown Named Agents of Fed. Bureau of Narcotics, 403 U.S. 388 (1971). See Doc. 10 at 13. Plaintiff bears the burden on each of his claims to allege facts plausibly establishing a violation of the Constitution. Al-Owhali v. Holder, 687 F.3d 1236, 1239 (10th Cir. 2012). “[O]nly a complaint that states a plausible claim for relief survives a motion to dismiss.” Ashcroft v. Iqbal, 556 U.S. 662, 679 (2009). In assessing a Rule 12 motion, the Court must evaluate whether the alleged facts plausibly establish the legal elements of the claim Plaintiff attempts to plead. Id. at 678, 682-83. Khalik v. United Air Lines, 671 F.3d 1188, 1191 (10th Cir. 2012) (quotation omitted); see also Iqbal, 556 U.S. at 678 (“Where a complaint pleads facts that are merely consistent with a defendant=s liability, it stops short of the line between possibility and plausibility of entitlement to relief.”) (quotation marks and citations omitted). The Tenth Circuit has emphasized that the prison context takes on special relevance when a court assesses the validity of a civil rights claim brought by an inmate. Gee, 627 F.3d at 1185 (citing Iqbal). “Government conduct that would be unacceptable, even outrageous, in another setting may be acceptable, even necessary, in a prison.” Id. In light of this altered context, an inmate must allege specific facts sufficient to show why restrictive conditions that legitimately may be applied in a prison violate the Constitution, and to show that the anticipated justifications for those acts do not apply. Id. (observing that “a prisoner claim will often not be plausible unless it recites facts that might well be unnecessary in other contexts”). Plaintiff’s alleged “religion” is not entitled to constitutional protection simply because of the label he gives it. “Only beliefs rooted in religion are protected by the Free Exercise Clause, which, by its terms, gives special protection to the exercise of religion.” Thomas v. Review Bd. of Indiana Employment Sec. Division, 450 U.S. 707, 713 (1981). “The government need only accommodate the exercise of actual religious convictions.” United States v. Meyers, 95 F.3d 1475, 1482 (10th Cir. 1996) (citations omitted). “A way of life . . . based on purely secular considerations” is not a “religion” under the Constitution; “to have the protection of the Religion Clauses, the claims must be rooted in religious belief.” Wisconsin v. Yoder, 406 U.S. 205, 215 (1972). “[T]he very concept of ordered liberty precludes allowing every person to make his own standards on matters of conduct in which society as a whole has important interests.” Id. at 216. Where a choice is “philosophical and personal rather than religious . . . such belief does not rise to the demands of the Religion Clauses.” Id. (describing “Thoreau’s reject[ing] the social values of his time and isolate[ing] himself at Walden Pond” as a choice that was “philosophical and personal”). This is especially true in the prison context, where “prisoners would be free to assert false religious claims that are actually attempts to gain special privileges or disrupt prison life.” Green v. Tudor, 685 F. Supp. 2d 678, 696 n.8 (W.D. Mich. 2010); see also S. Rep. No. 103-111, 1993 WL 286695, *11 (stating, in the course of the debate on RFRA, the expectation that courts would continue to weed out “masquerade[s] designed to obtain First Amendment protection”). F.2d 1025, 1032 (3d Cir. 1981). Under that test, a “religion” (1) “addresses fundamental and ultimate questions having to do with deep and imponderable matters”; (2) is “comprehensive in nature” and “consists of a belief-system as opposed to an isolated teaching”; and (3) “often can be recognized by the presence of certain formal and external signs.” Id. at 1032; see also Meyers, 95 F.3d at 1482-84 (approving the use of the Africa criteria by citing with approval district court’s reliance on Africa factors, and affirming decision of district court that “religion” premised on the beliefs of the “founder and Reverend of the Church of Marijuana” was not a religion protected under RFRA).5 In addition to the Africa factors, the Tenth Circuit took into account whether the adherent’s beliefs were “metaphysical” in nature. See Meyers, 95 F.3d at 1483. Applying this test in the prison context, no court has held that Creativity is a “religion” entitled to protection under the Constitution or statutory law. In Conner, a prisoner brought claims under the Free Exercise Clause and the Religious Land Use and Institutionalized Persons Act (RLUIPA), the RFRA counterpart for state prisoners. Conner, 2009 WL 4642392 at *1; see also 42 U.S.C. § 2000cc-5(4)(A). He sought an injunction ordering the prison to recognize Creativity as a religion and to accommodate its various practices, including group worship, “religious” literature, and a diet “in accord with nature.” 2009 WL 4642392, at **4, 9; see also id. at **2-3 (observing that the prison had determined that Creativity was a “hate group” that“would tend to incite violence within the institutional setting”). Commandments of Creativity” direct followers to facilitate the dominance of the “White Race,” including by “Destroy[ing] and banish[ing] all Jewish thought and influence from our society”). The court rejected the prisoner’s claims on the grounds that Creativity is not a religion. Under the first Africa factor, the court found that Creativity “is guided exclusively by secular concerns. Specifically, the end that Creativity seeks is a society that has been restructured through white segregation, the attainment of which is not intertwined in any way with the contemplation of ‘deep and imponderable’ matters analogous to those with which traditional religions are concerned.” Id. at *12. The court held that the principles of Creativity – including its “guiding principle” to direct all one’s actions to “what is best for the White Race” – “reflect no more than a pragmatic philosophy that Creators must act to ensure the survival and promote the dominance of certain members of society.” Id. at *11; see also id. at *12 (comparing the beliefs of Creativity to those of the “Church of Marijuana” and other alleged “religions” that are governed by “concerns that are purely personal or social”) (citing Meyers, 906 F. Supp. at 1505) (other citations omitted). Under the second Africa factor, Conner held that, at its core, Creativity is an “isolated teaching.” Id. at *12. The court explained that “the essence of Creativity is confined to one question or one moral teaching . . . summed up by Creativity’s Golden Rule: What is good for the White Race is the highest virtue; what is bad for the White Race is the ultimate sin.” Id. at *12 (internal quotation marks and citation omitted). In light of this one-dimensional focus, the prisoner’s “belief system [of Creativity], while governing his behavior in wide-ranging respects, is not sufficiently comprehensive to meet the second Africa criterion.” Id. Under the third Africa factor, the court examined the “formal and external signs” of Creativity, including those that Plaintiff references here: ordained clergy who take an oath to promote the group’s teachings; the requirement that members spread the group’s teachings by proselytization; ceremonies that include marriage and a “Child-Pledging Ceremony”; and holidays that include “Klassen Day” and “RAHOWA Day.” Id. at *13. But notwithstanding these “formal and external characteristics that might be considered similar to those associated with more traditional religions, their sole purpose is to support . . . a secular belief system.” Id. ; see also id. at *11 (observing that “a belief system that is secular in nature does not become a religion simply by its use of religious terminology”). The court concluded that the prisoner had failed to raise a genuine issue as to whether Creativity is a religion for purposes of the Free Exercise Clause and RLUIPA. Id. at **14-15. The First Amendment does not extend to so-called religions which . . . are obviously shams and absurdities and whose members are patently devoid of religious sincerity. The secular philosophical concerns underlying Creativity is evinced by the fact that Creators celebrate “Matt Hale Day” and “Benjamin Smith Memorial Day.” Matthew Hale was the former leader, or “Pontifex Maximus” of Creativity, who was convicted of plotting to have a United States District Judge murdered. Id. (emphasis added); see also Thomas, 450 U.S. at 715 (observing that “[o]ne can . . . imagine an asserted claim so bizarre, so clearly nonreligious in motivation, as not to be entitled to protection under the Free Exercise Clause”). In Birkes, the court acknowledged that “[s]ystems of belief that propound ideals of racial segregation or supremacy may be entitled to First Amendment protection when they are sufficiently intertwined with, or stem from, religious beliefs” – but “Creativity is not predicated on such religious beliefs.” Id. (emphasis added) (citing Conner, 2009 WL 4642392, at *11); see also id. at *7 (entering judgment against inmate on RLUIPA claim because evidence was insufficient to show that his beliefs “are based on anything other than secular considerations”); see also Versatile v. Johnson, No. 3:09CV120, 2011 WL 5119259, *14 (E.D. Va. Oct. 27, 2011), aff’d, 474 F. App’x 385 (4th Cir. 2012), cert. denied, 133 S. Ct. 2013 (finding that a religion known as the “Nation of Gods and Earths” was not a religion under RLUIPA, but a “social or cultural movement” based on the “monofacted concern with race,” where its “fundamental writings largely describe black men as the founders and the rulers of society, while describing the white race to be a wicked and inferior race created through genetic engineering”) (citing Conner). The claims brought by another prisoner-adherent of Creativity did not survive the court’s initial screening under 28 U.S.C. § 1915A(a). In Todd v. Cal. Dep’t of Corrs. and Rehab., No. 1:12-cv-01003, 2013 WL 1281611 (E.D. Cal. Mar. 26, 2013), the court dismissed the claims of a prisoner who was an ordained Creativity “minister” and who had “sw[orn] allegiance unto Pontifex Maximus Matt Hale.” Id. at *1 n.3. The prisoner alleged that the prison had improperly confiscated Creativity material from his cell, rejected his mail (including a book called the Ecclesia Creatoris Membership Manual), and deprived him of the same “religious diet” Plaintiff seeks here. See id. at **2-3. Stanko v. Patton, 568 F. Supp. 2d 1061, 1072 (D. Neb. July 24, 2008) (finding that “the ‘White Man’s Bible’ and the organization founded by Klassen are not religious in any legally recognized sense of the word, but are fonts and fronts for white supremacist hate mongers,” and denying prisoner’s demand for a “religious” diet of nuts and fresh fruits); see also United States v. Magleby, 241 F.3d 1306, 1317-18 (10th Cir. 2001) (referring to the Church of the Creator as “a hate group”). As Plaintiff notes, one district court has found that Creativity qualified as a religion for purposes of an employment discrimination claim brought under Title VII. See Doc. 10 at ¶ 3 (citing Peterson v. Wilmur Commc’ns, Inc., 205 F. Supp. 2d 1014, 1021-24 (E.D. Wis. 2002)). But that isolated case has no bearing on the Court’s assessment of the plausibility of Plaintiff’s claims. The Title VII standard for assessing what constitutes a religion under the First Amendment is less rigorous than the constitutional standard. See Conner, 2009 WL 4642392, at *6 n.4 (distinguishing Peterson). To establish a religious belief Title VII, a plaintiff need only show “that the belief at issue is ‘sincerely held’ and ‘religious’ in [his or her] own scheme of things.” Peterson, 205 F. Supp. 2d at 1018 (citation omitted). Also, under Title VII, a court must give “great weight” to a plaintiff’s characterization of his beliefs as religious. United States v. Seeger, 380 U.S. 163, 184-85 (1965). Defendants are aware of no case that has recognized Creativity as a protected religion. See Connor, 2009 WL 4642392, *6 n.4 (distinguishing Peterson from case brought by inmate practitioner of Creativity and observing that “the standard applied to determine whether a particular set of beliefs qualifies as a religion for purposes of Title VII . . . is broader than that applicable in the context of the First Amendment”); see also Deville v. Crowell, No. 08-3076, 2011 WL4526772, *6 n.5 (D. Kan. Sept. 28, 2011) (“[P]laintiff’s reliance on Peterson as establishing that the Church of the Creator is a federally recognized religion, is misplaced. As pointed out in Conner, . . . the standard for determining whether a particular set of beliefs qualified as a religion for purposes of Title VII . . . is broader than the standard applied under the First Amendment.”). protection under the Constitution and RFRA. First, Plaintiff alleges no facts plausibly showing that Creativity is guided by anything other than a “secular concern,” i.e., to “restructure society through white segregation.” See Conner, 2009 WL 4642392, *12. Second, Plaintiff alleges no facts plausibly showing that Creativity is “comprehensive in nature” and “consists of a belief-system as opposed to an isolated teaching.” See Africa, 662 F.2d at 1032. Rather, his allegations confirm that Creativity reduces to an “isolated teaching”: “What is good for the White Race is the highest virtue; what is bad for the White Race is the ultimate sin.” Conner, 2009 WL 4642392, *12. Third, while Plaintiff’s allegations suggest that Creativity has some “formal and external characteristics” associated with traditional religions, they also demonstrate that the sole purpose of those externalities is to support the “secular belief system” of white segregation and white Supremacy. Id. at *13. Finally, Plaintiff has alleged no facts showing that Creativity “transcends the physical and immediately apparent world.” See Meyers, 95 F.3d at 1483. Plaintiff specifically disclaims any belief in the existence of a non-physical, spiritual realm. See Doc. 10 at ¶ 7 (asserting that Creativity rejects the concept of “personal salvation in a supposed ‘afterlife’”). In sum, the well-pleaded facts show that the beliefs to which Plaintiff subscribes places him – Matt Hale – at its center as the “highest priest,” honored with his own holiday in the manner of a Christian saint. His beliefs focus on the entirely secular goal of promoting the “White Race” and degrading people who fall outside his definition of this group – including by violent means.was ‘clearly established’ at the time of the challenged conduct.” Plumhoff v. Rickard, _ U.S. _, 134 S. Ct. 2012, 2023 (2014) (citing Ashcroft v. Al-Kidd, 563 U.S. _, 131 S. Ct. 2074, 2080 (2011)); see also Harlow v. Fitzgerald, 457 U.S. 800, 818 (1982). Qualified immunity is a protection from suit, not just a defense to liability. Mitchell v. Forsyth, 472 U.S. 511, 526 (1985). Under the doctrine of qualified immunity, officials are immune unless “the law clearly proscribed the actions” they took. Id. Qualified immunity allows “ample room for mistaken judgments” and protects “all but the plainly incompetent or those who knowingly violate the law.” Malley v. Briggs, 475 U.S. 335, 341 (1986); see also Saucier v. Katz, 533 U.S. 194, 202, 205 (2001) (noting that “[t]he concern of the immunity inquiry is to acknowledge that reasonable mistakes can be made as to the legal constraints on particular police conduct”). When qualified immunity is asserted, a plaintiff must satisfy a heavy two-part test in order to avoid dismissal. Kennedy v. Peele, 552 F. App’x 787, 790 (10th Cir. 2014); see also, e.g., Reynolds v. Powell, 370 F.3d 1028, 1030 (10th Cir. 2004). As the Supreme Court explained, for a right to be clearly established, it must be “sufficiently clear that every reasonable officer would have understood that what he is doing violates that right” and “existing precedent must have placed the statutory or constitutional question beyond debate.” Al-Kidd, 131 S. Ct. at 2083 (quotations omitted; emphasis added); accord Plumhoff, 134 S. Ct. at 2023 (“[A] defendant cannot be said to have violated a clearly established right unless the right’s contours were sufficiently definite that any reasonable official in the defendant’s shoes would have understood that he was violating it.”) (emphasis added). “The law is clearly established when a Supreme Court or Tenth Circuit decision is on point, or if the clearly established weight of authority from other courts shows that the right must be as plaintiff maintains.” Roska v. Peterson, 328 F.3d 1230, 1248 (10th Cir. 2013). The “clearly established” requirement “gives government officials breathing room to make reasonable but mistaken judgments about open legal questions,” Al-Kidd, 131 S. Ct. at 2085, and “ensure[s] that before they are subjected to suit, officers are on notice [that] their conduct is unlawful.” Saucier, 533 U.S. at 206. The Supreme Court has “repeatedly told courts . . . not to define clearly established law at a high level of generality, since doing so avoids the crucial question whether the official acted reasonably in the particular circumstances that he or she faced.” Plumhoff, 134 S. Ct. at 2023 (internal citation omitted). Plaintiff has alleged no facts plausibly showing that Creativity is a “religion” protected under the First Amendment or RFRA. The individual defendants are entitled to qualified immunity on all claims. See Saucier, 533 U.S. at 201 (“If no constitutional right would have been violated were the allegations established, there is no necessity for further inquiries concerning qualified immunity.”). The Court should dismiss these claims with prejudice. See Brereton v. Bountiful City Corp., 434 F.3d 1213, 1216 (10th Cir. 2006) (dismissal of a complaint on the merits is ordinarily with prejudice). Pleaded a Free Exercise or RFRA Claim. Plaintiff bears the burden to allege facts plausibly showing two elements. First, his allegations must show that the restrictions he challenges “substantially burdened … sincerely-held religious beliefs.” Kay v. Bemis, 500 F.3d 1214, 1218 (10th Cir. 2007). Second, he must allege facts plausibly showing that the restrictions are not reasonably related to legitimate penological interests – the first factor and “core holding” under Turner v. Safley, 482 U.S. 78 (1987). Al-Owhali, 687 F.3d at 1240; see also O’Lone v. Estate of Shabazz, 482 U.S. 342, 348 (1987) (observing that the free exercise right is “necessarily limited by the fact of incarceration, and may be curtailed in order to achieve legitimate correctional goals or to maintain prison security”). 12(b)(6) motion of First Amendment claim challenging restrictions on inmate’s communications) (quoting Gee, 627 F.3d at 1188). 10 An inmate seeking to establish the absence of a rational connection between a prison restriction and a legitimate penological interest “is required to recite facts that might well be unnecessary in other contexts to surmount a motion to dismiss under Fed. R. Civ. P. 12(b)(6).” Id. at 1240 (citation and internal quotations omitted). interest in limiting his correspondence or that the new [correspondence] restrictions are unrelated to this interest.” Id. Claim One, which is brought against the BOP and each of the individual defendants, challenges two periods of past restrictions on Plaintiff’s social mail. Creativity has a violent history in which Plaintiff’s influence looms large. See generally Background § I.A, supra. When Plaintiff’s application for a law license was rejected, a follower went on a shooting rampage. After Plaintiff was convicted of attempting to murder a federal judge, a follower solicited the murder of the foreperson of the jury. And notwithstanding his incarceration, Plaintiff retains influence over people outside the prison. He is recognized by “[t]housands of Creators worldwide . . . as a minister in the Church.” Doc. 10 at ¶ 19. Adherents swear allegiance to Plaintiff and celebrate “Matt Hale Day.” Todd, 2013 WL 1281611, at *1 n.3; Birkes, 2011 WL 5117859, at *4. Importantly, Plaintiff wants to connect with his followers. He wants to be the “Pontifex Maximus.” Doc. 10 at ¶ 31. He wants to “proselytize.” Id. at ¶ 9. He wants to “share with others his religious, ideological and philosophical views on a host of subjects.” Id. at ¶ 25. He wants to provide “guidance” to his followers. Id. at ¶ 16. The facts here show that the relevant context is one of violence – with Plaintiff at its center. In this context, prison officials have a rational penological interest in preventing Plaintiff from maintaining a leadership role in the Creativity Movement by writing “articles” and issuing “sermons.” See Doc. 10 at ¶ 31 (alleging that Plaintiff was placed on Restricted General Correspondence status in July 2010 when he attempted to mail an “article” for publication stating that he was designating himself “Pontifex Maximum, pro tempore”); id. at ¶ 43 (alleging that, beginning in July 2012, Plaintiff began issuing monthly written “Sermon[s] from Solitary” to his followers). When an inmate with Plaintiff’s history of influence overtly expresses his intention to use his writings to lead a group of followers who have demonstrated a willingness to perpetrate acts of violence on his behalf, prison officials have a legitimate penological interest in restricting his mail privileges for limited periods of time to protect the public. This is a coherent explanation of the reasons for placing Plaintiff on Restricted General Correspondence status that he “does not rebut in his pleadings.” See Al-Owhali, 687 F.3d at 1241; see also Ex. 1 at 1 (explaining that Plaintiff’s correspondence “with Creativity Movement members, Creativity Member leaders, and other white nationalist extremists poses a special threat to the security and good order of the institution, protection of the public, and national security”); see also Ex. 2 at 1. Plaintiff was required to allege facts that explain why these obvious justifications for the restrictions do not apply. See Gee, 627 F.3d at 1185; see also id. at 1187 (observing that “prisoners’ rights may be restricted in ways that ‘would raise grave First Amendment concerns outside the prison context.’”) (quoting Thornburgh v. Abbott, 490 U.S. 401, 407 (1989)). His allegations do not purport to address these clear risks. The Court should dismiss Claim One for failure to state a claim. Claim Five, which is brought against the BOP and Defendants Redden and Berkebile, in their individual capacities, challenges the decision to deny Plaintiff access to a book called Nature’s Eternal Religion, which Plaintiff calls the “main Bible” of Creativity. Doc. 10 at ¶ 88.
religion. See Wares v. Simmons, 524 F. Supp. 2d 1313, 1320 n.9 (D. Kan. 2007) (defining substantial burden as “one that (1) significantly inhibits or constrains a plaintiff’s religious conduct or expression, (2) meaningfully curtails a plaintiff’s ability to express adherence to his faith, or (3) denies the plaintiff reasonable opportunity to engage in fundamental religious activities”). Plaintiff does not contend that he has been denied access to the White Man’s Bible – also included in the “holy scripture” of Creativity (Doc. 10 at ¶ 5) – nor does he assert that he has been denied any other religious literature he has requested. See Conner, 2009 WL 4642392, **1-2, 14-15 (listing the “Sixteen Commandments of Creativity,” and finding that Creativity is not a religion under the First Amendment or RLUIPA) (emphasis added); see also Birkes, 2011 WL 5117859, at *5 (noting that the White Man’s Bible “refers to groups of people as mongrelized, mud race, animals, and black poison” and “calls the White Race to action to excrete this waste from the White Racial Community”) (emphasis added). Plaintiff’s allegations do not show the absence of a legitimate penological interest in preventing Nature’s Eternal Religion from entering the prison. See 28 C.F.R. § 540.71(b) (authorizing prison warden to reject publication “if it is determined detrimental to the security, good order, or discipline of the institution or if it might facilitate criminal activity”). A text premised upon the principle that the purity of the white race must be maintained, and that “mud races” must be eliminated is – without any debate whatsoever – racially inflammatory. That said, the [prison] has a valid, rational interest in refusing inmates access to Nature’s Eternal Religion. The first prong of the test set out in Turner is met. 12(b)(6) motion to dismiss First Amendment claim challenging denial of Nature’s Eternal Religion pursuant to prison regulation allowing confiscation of material that “poses a threat or is detrimental to the security, safety, health, good order or discipline of the facility”); see also Birkes, 2011 WL 5117859, at *5 (holding that, even if Creativity qualified as a religion, “the seizure of a single book [Nature’s Eternal Religion] which includes racially inflammatory material” does not violate the First Amendment under the Turner test); Prentice, 2010 WL 4181456, at *4 (holding that the prison had a legitimate penological interest in denying Creativity adherents access to “materials that are blatantly racist and that advocate violence or aggression against others because of their race,” and finding that prison could take action based on “evidence concerning anticipated problems, even though no actual problems have arisen from the prisoner’s conduct”). Courts “may be expected to recognize the government’s countervailing compelling interest in not facilitating inflammatory racist activity that could imperil prison security and order.” Cutter v. Wilkinson, 544 U.S. 709, 723 n.6 (2005); accord, e.g., Reimann v. Murphy, 897 F. Supp. 398, 402-03 (E.D. Wis. 1995) (holding that confiscation of issues of World Church newspaper did not violate First Amendment or RFRA, where the newspapers were “replete with hatred and language inciting violence” and referred “frequently to ‘Rahowa’ an acronym for racial holy war”). Plaintiff has alleged no facts plausibly showing that the prison lacks a legitimate penological interest in denying him access to a single book known to contain racially inflammatory material. The Court should dismiss Claim Five for failure to state a claim. decision to deny Plaintiff’s request for a diet allegedly required by Creativity, consisting of “fruits, vegetables, nuts, or seeds only.” Doc. 10 at ¶ 113. Plaintiff alleges that he cannot “fully follow” Creativity without eating a raw-food diet. Id. at ¶ 109. First, Plaintiff has alleged no substantial burden on the practice of his alleged religion. While he contends he cannot “fully follow” the purported precepts of Creativity without consuming a raw-food diet, he does not allege that “his meals are bereft of any such foods.” See Nichols v. Fed. Bureau of Prisons, No. 09-cv-00558, 2010 WL 3219998, *9 (D. Colo. Aug. 12, 2010) (holding that inmate failed to state a free exercise claim based on his alleged need to consume “unrefined whole-grains and living foods,” where he did “not contend that the meals leave him without anything to eat”). Like the inmate in Nichols, Plaintiff “does not contend that the meals leave him without anything to eat.” Id. ; compare Abdulhaseeb v. Calbone, 600 F.3d 1301, 1317 (10th Cir. 2008) (prisoner presented with “Hobson’s choice” of eating a non-halal diet in violation of his held beliefs, or not eating). Plaintiff also has not alleged facts plausibly showing that his inability perfectly to follow the dietary guidelines of Creativity “significantly inhibits” or “meaningfully curtails” his ability to adhere to the Creativity belief system. See Wares, 524 F. Supp. 2d at 1320 n.9. Second, Plaintiff’s allegations do not plausibly show the absence of a legitimate penological interest in declining to provide him an exclusively raw-food diet. His unsupported assertions that his dietary requests are “extremely easy” to meet and create no budgetary implications for the BOP are not entitled to the presumption of truth. Iqbal, 556 U.S. at 681 (“It is the conclusory nature of respondent’s allegations . . . that disentitles them to the presumption of truth.”); see also Stanko, 568 F. Supp. 2d at 1073 (observing that “correctional institutions do not need to specifically provide things like nuts and fresh fruits to inmates who demand those items on religious grounds because there are cost and security justifications for not doing so”). Plaintiff’s allegations also fail to address the security issues associated with providing him the diet he seeks. See Jenkins v. Angelone, 948 F. Supp. 543, 547-48 & n.13 (E.D. Va. 1996) (inmate’s free exercise of religion was not violated when prison officials declined to provide fresh fruit due to cost concerns and a security concern that fruit could be used to make alcohol). Plaintiff alleges no facts “to explain why these usual justifications” do not apply.” Gee, 627 F.3d at 1185. The Court should dismiss Claim Eight for failure to state a claim. Claim Ten, which is brought against the BOP and Defendant Berkebile, asserts that the decision not to allow Plaintiff to participate in “an in-person, on camera interview” with a television reporter violated the First Amendment. Plaintiff claims this decision was motivated by the desire to prevent his “religious and ideological beliefs” from being disseminated to the public. Doc. 10 at ¶ 124. First, these allegations do not plausibly show a substantial burden on Plaintiff’s alleged religion. Plaintiff does not claim that transmitting his visage to the world is a fundamental activity of Creativity. He does not allege that allowing others to see him inhibits his religious conduct or expression or curtails his ability to adhere to the precepts of Creativity. See Wares, 524 F. Supp. 2d at 1320 n.9. And he does not allege that he is prohibited from communicating with the press in other formats, including in writing or by telephone. Plaintiff’s outgoing correspondence to press representatives is treated as “special mail” that is not inspected or censored. See 28 C.F.R. § 540.18(c)(1) (“outgoing special mail may be sealed by the inmate and is not subject to inspection”). Indeed, it is a matter of public record that at least two newspapers recently have received information about a settlement offer Plaintiff presented to Defendants in this case. Second, Plaintiff’s allegations do not plausibly show the absence of a legitimate penological interest in not allowing him to gain direct, visual access to his followers and the public at large. The United States Supreme Court has held that the BOP does not violate the First Amendment when it makes such decisions. Saxbe v. Washington Post Co., 417 U.S. 843, 850 (1974) (finding no First Amendment violation in BOP prohibition on face-to-face interviews between reporters and inmates). The Supreme Court found that a no-interview policy is reasonably related to legitimate security interests. See Hammer v. Ashcroft, 570 F.3d 798, 801 (7th Cir. 2009) (discussing Washington Post and Pell v. Procunier, 417 U.S. 817 (1974), in holding that BOP officials who enforced a policy that prevented prisoners in special confinement unit from giving face-to-face interviews to the media did not violate the First Amendment or Equal Protection Clause). The well-pleaded facts here show a clear legitimate penological interest in preventing Plaintiff from exerting influence over the actions of a demonstrably violent group of followers he has directed in the past and who, according to Plaintiff, wish to receive his “guidance” now. Prison officials do not act irrationally under Turner by taking steps to prevent Plaintiff from obtaining the celebrity status he obviously seeks among those who have “sworn allegiance” to him. See id. (recognizing that some crimes are “potentially attractive to imitators; the most notorious criminals can be trend-setters,” and holding that “this is a good basis to curtail press access”); see also Todd, 2013 WL 1281611 at *1 n.3. 12 Undersigned counsel respectfully represents that this information was not released by Defendants or heir counsel. In the prison context, it is well established that officials can take preventive actions like prohibiting television press interviews without being able to definitively confirm that any actual harm would have occurred. See, e.g., Florence v. Bd. of Chosen Freeholders of County of Burlington, 132 S. Ct. 1510, 1520 (2012) (rejecting the argument that detainees should be exempt from invasive searches absent a “particular reason to suspect them” and holding that officials can reasonably find such an evidentiary standard “unworkable”); Jones v. N. Carolina Prisoners’ Labor Union, Inc., 433 U.S. 119, 133 n.9 (1977) (holding that for a district court to require “a demonstrable showing that [a prison union] was in fact harmful” would be “inconsistent with the deference federal courts should pay to the informed discretion of prison officials”). There is no requirement that prisons prove the effectiveness or accuracy of preventive measures for the measures to be rationally imposed under Turner. See Beard v. Banks, 548 U.S. 521, 535 (2006) (upholding a restriction even absent any showing that it had “proven effective” or “had any basis in real human psychology”). The Court should dismiss Claim Ten for failure to state a claim. Claim Two, a retaliation claim brought against the BOP and the individual defendants, is based on Plaintiff’s placement on Restricted General Correspondence status, allegedly in response to his “trying to participate in his Church and religious faith[. ]” Doc. 10 at ¶ 80. To state a First Amendment retaliation claim, Plaintiff bears the burden to allege facts showing that (1) he was engaged in constitutionally protected activity,” (2) Defendants’ actions caused him to suffer an “injury that would chill a person of ordinary firmness from continuing to engage in that [protected] activity,” and (3) Defendants’ actions “were substantially motivated as a response to [his] protected conduct” Nielander v. Bd. of County Comm’rs, 582 F.3d 1155, 1165 (10th Cir. 2009). For the reasons set forth above, Plaintiff has alleged no facts showing that the restrictions on his mail were imposed in response to constitutionally protected activity. As an inmate, Plaintiff has no constitutional right to assert his authority over and issue guidance to a group outside the prison – particularly one whose history is marked by racial hatred and violence. See generally Doc. 10 at ¶¶ 10, 33-34 (restrictions imposed after Plaintiff attempted to be “Pontifex Maximus,” to “direct” the group, and to function as “an ordained minister” to the group’s followers). Prison officials have a legitimate penological interest in preventing an inmate who has garnered a cultish following among this group (as evidenced by their celebration of “Matt Hale Day”) from continuing to lead them from prison. No constitutional protection is accorded to speech in which an inmate seeks to reassert himself into a leadership role among those with whom he admittedly shares an ideology founded on racial supremacy and adherence to a “commandment” that characterizes “the inferior colored races [as] our deadly enemies.” See Conner, 2009 WL 4642392, *1-2 (emphasis added). Plaintiff has alleged no facts plausibly showing that he can establish that a retaliatory motive was the “substantial” motivation for Defendants’ actions. See Nielander, 582 F.3d at 1165 (actions must be “substantially motivated” as a response to protected conduct). Rather, the facts show that the substantial motivation for the restrictions was the concern that Plaintiff was attempting to serve as the “Pontifex Maximus” and “ordained minister” of a group whose history is marked by violent acts, many of them undertaken at Plaintiff’s behest or on his behalf. The facts also show that the restrictions are more consistent with the conclusion that Defendants were motivated by the legal purpose of protecting the public, rather than by illegal retaliation. See Iqbal, 556 U.S. at 678 (“Where a plaintiff pleads facts that are merely consistent with a defendant’s liability, it stops short of the line between possibility and plausibility of entitlement to relief.”). Plaintiff has failed to allege the additional facts required to show why the obvious justification for the restrictions – to defuse the dangers associated with his communications – does not apply. See Gee, 627 F.3d at 1185. The Court should dismiss Claim Two. Under RFRA, Plaintiff bears the burden to allege facts showing that the restrictions he challenges substantially burden a sincere exercise of his religion. Hobby Lobby Stores, Inc., v. Sebelius, 723 F.3d 1114, 1125-26 (10th Cir. 2013), aff’d, Burwell v. Hobby Lobby Stores, Inc., 134 S. Ct. 2751 (2014); see also 42 U.S.C. § 2000bb-1(a). In addition, in order for his RFRA claims to survive a motion to dismiss, Plaintiff must allege facts plausibly showing that Defendants will not be able to meet their burden to show that the restrictions are (1) in furtherance of compelling governmental interests; and (2) are the least restrictive means of furthering those compelling interests. See 42 U.S.C. § 2000bb-1(b). RFRA’s legislative history confirms that prison officials have a compelling interest in maintaining safety and security, and that courts are to give substantial deference to the reasoned judgments of prison officials regarding what is necessary and appropriate to promote those interests. S. Rep. No. 111, 103d Cong., 1st Sess. at 10 (1993), reprinted in 1993 U.S. Code Cong. & Admin. News 1892, 1899-1900; see also, e.g., Overton v. Bazzetta, 539 U.S. 126, 132 (2003) (“We must accord substantial deference to the professional judgment of prison administrators, who bear a significant responsibility for defining the legitimate goals of a corrections system and for determining the most appropriate means to accomplish them.”). Claim Three is the RFRA counterpart of Claim One, challenging past restrictions on Plaintiff’s social mail. Claim Seven is the RFRA counterpart of Claim Five, challenging the denial of a book Plaintiff calls the “Bible” of Creativity. Claim Nine is the RFRA counterpart of Claim Eight, challenging the decision not to provide Plaintiff a raw-food diet. Defendants incorporate by reference the preceding analyses for these claims. In addition to the pleading deficiencies identified above, Plaintiff also has not alleged, as to any of the three RFRA claims, facts plausibly showing the absence of compelling governmental interests, or that the restrictions chosen are not the least restrictive means of facilitating those compelling interests. As to Claim Three, in the context here, Plaintiff’s allegations do not plausibly show that Defendants lack a compelling interest in protecting the public by separating him from his followers when he attempts to reassert his status as their “Pontifex Maximus” and to provide them formal guidance in the form of “sermons.” He alleges no facts plausibly showing that his stature or influence is diminished in a prison setting, nor do his allegations show that he seeks anything other than a starring role in the Creativity Movement. He does not allege facts showing why prison officials are compelled to ignore extensive historical data demonstrating a longstanding commitment to violence by both Plaintiff and members of his group. He alleges no facts plausibly showing how the interest in protecting the public from violence could have been accomplished by less restrictive means than prohibiting him from corresponding directly with his followers. allege why offering him the vegetarian meal options available to all prisoners is not the least restrictive means of furthering compelling prison interests. RFRA does not absolve Plaintiff of the burden to plead plausible claims under the standards set forth in Iqbal and Gee. He has not satisfied that pleading burden. The Court should dismiss Claims Three, Seven and Nine. For the reasons set forth in §§ III.A-C, even if the Court assumed Creativity was a religion, Plaintiff has not plausibly alleged a violation of the First Amendment or RFRA. (discussing cases declining to accord religious status to Creativity). Far from being clearly “beyond debate” to every reasonable officer that any of their actions was unlawful, their actions reflect a reasoned approach to addressing risks the officers could reasonably anticipate. In a prison context where correctional officials are required to defuse dangers, and where “the role of the Constitution . . . walls is quite limited,” it would not have been “beyond debate” to every officer that their actions were unlawful under the Constitution or RFRA. See Al-Kidd, 131 S. Ct.at 283. The individual defendants are entitled to qualified immunity on Claims One, Two, Three, Five, Seven, Eight, Nine and Ten. To recover damages from a defendant in a Bivens case, a plaintiff must show that the named defendant personally and actually engaged in conduct that violated that plaintiff’s constitutional rights. See Iqbal, 556 U.S. at 676; see also Pahls v. Thomas, 718 F.3d 1210, 1226-27 (10th Cir. 2013) (issue of personal participation “is a component of liability under § 1983 and Bivens” and thus is “incorporate[d] . . . into [the] qualified-immunity analysis”). To satisfy that burden at the pleading stage, a plaintiff must allege facts showing actual and personal participation in the unconstitutional conduct by each defendant. See Brown v. Montoya, 662 F.3d 1152, 1163 (10th Cir. 2011). This requires factual allegations showing “exactly who is alleged to have done what to whom.” Robbins v. Oklahoma, 519 F.3d 1242, 1250 (10th Cir. 2008). The complaint cannot “lump” defendants together and then allege that the group collectively violated the plaintiff’s rights. Brown, 662 F.3d at 1165. Plaintiff alleges that the BOP and a sub-group of the individual defendants placed him on Restricted General Correspondence status in July 2010 and “enforced” the restrictions.” Doc. 10 at ¶¶ 31, 38, 42 (referencing Defendants Davis, Milusnic, Krist, Rangel, Synsvoll, Brieschke, Smith, Redden and the BOP). Defendants Krist and Brieschke are simply “lumped” in with the others, with no supporting allegations showing exactly what they did to violate Plaintiff’s rights. See Robbins, 519 F.3d at 1250. Nothing is said concerning the alleged actions of Defendant Krist. See Doc. 10 at ¶ 32. Defendant Brieschke, who is a BOP attorney, is alleged to have told Plaintiff that he should refrain from “directing, or attempting to direct, his Church” (id. at ¶ 39), but transmitting that message does not plausibly show that Mr. Brieschke personally decided that the restrictions should be imposed or played a role in enforcing them. The allegations that Mr. Brieschke “routinely counsel[s] the employees of the B.O.P. and those of Supermax specifically, to violate the constitutional and other legal rights of prisoners” is a conclusory and self-serving assertion that is not entitled to the presumption of truth on a motion to dismiss. See id. at ¶¶ 53, 54. Claim One, insofar as it challenges the July 2010 mail restrictions, should be dismissed against Defendants Krist and Brieschke for lack of personal participation. specifying what actions she took. The allegations concerning Defendant Brieschke are the same as those for the first set for restrictions, and fail to show any personal participation by him. Claim One, insofar as it challenges the January 2013 mail restrictions, should be dismissed against Defendants Brieschke and Heim. Claims Two and Three assert that the “mail bans” are retaliatory and violate RFRA. For the same reasons that Plaintiff failed to allege the personal participation of Defendants Krist, Brieschke and Heim in Claim One, he also has not alleged their personal participation for purposes of these claims. Therefore, the Court dismiss Claims Two and Three against Defendants Krist, Brieschke and Heim. Defendants have the burden to show that a claim is time-barred. See Robert L. Kroenlein Trust v. Kirchhefer, _ F.3d _, 2014 WL 4178304, *4 (10th Cir. Aug. 25, 2014). “A Bivens claim is subject to the general personal injury statute in the state where the action arose.” Nichols, 2010 WL 3219998, at *10 (citations omitted). Under Colorado law, the statute of limitations for personal injury actions is two years. See Colo. Rev. Stat. § 13-80-102 (2014). In Claims One, Two and Three, Plaintiff challenges restrictions on his communications that were imposed in July 2010 and removed in January 2011. Even if the claims could be deemed to have accrued as late as January 2011, the date the restrictions were removed, Plaintiff failed to file his complaint within two years of that date. The Court should dismiss as untimely Claims One, Two and Three, insofar as they purport to assert Bivens claims against the individual defendants alleged to have been involved in the imposition and enforcement of the July 2010 restrictions, i.e., Defendants Davis, Milusnic, Krist, Rangel, Synsvoll, Brieschke, Smith and Redden. See Doc. 10 at ¶¶ 31, 38, 42. Plaintiff bears the burden to establish, as a threshold matter, that the relief he seeks is available for the claims he attempts to bring against the individual defendants. He has not met that burden. Claims One, Two, Five, Eight and Ten should be dismissed against the individual defendants because there is no remedy under Bivens for alleged violations of the First Amendment. Since Bivens, which allowed an action for monetary damages under the Fourth Amendment, the Supreme Court has recognized a damages remedy in only two types of cases: Eighth Amendment violations of the Cruel and Unusual Punishment Clause, see Carlson v. Green, 446 U.S. 14 (1980), and Fifth Amendment violations of the equal protection component of the Due Process Clause, see Davis v. Passman, 442 U.S. 228 (1979). The Supreme Court has “consistently refused to extend Bivens liability to any new context or new category of defendants.” Corr. Servs. Corp. v. Malesko, 534 U.S. 61, 68 (2001). In Bush v. Lucas, 462 U.S. 367, 390 (1983), the Supreme Court refused to recognize a Bivens cause of action in the First Amendment context. 14 In Malesko, the Supreme Court rejected a Bivens remedy in the context of procedural due process, because injunctive relief is the proper remedy for that type of constitutional violation. See 534 U.S. at 74. In Wilkie v. Robbins, 551 U.S. 537, 562 (2007), the Supreme Court refused to recognize a Bivens cause of action for Fifth Amendment takings. The Supreme Court also has declined to create Bivens remedies for“harm to military personnel through activity incident to service,” “wrongful denials of Social Security disability benefits,” id. at 550 (collecting cases), claims against federal agencies, FDIC v. Meyer, 510 U.S. 471 (1994), and claims against private prisons, Malesko, 534 U.S. at 68. There are two questions that the Court must consider in determining whether a Bivens remedy exists. First, “whether any alternative, existing process for protecting the interest amounts to a convincing reason for the Judicial Branch to refrain from providing a new and freestanding remedy in damages.” Wilkie, 551 U.S. at 550 (citation omitted). Second, the Court must weigh the “reasons for and against the creation of a new cause of action, the way common law judges have always done,” considering, for instance, the inadequacy of discrete . . . remedies . . .” Id. at 554 (citation omitted). Here, neither question favors the creation of a Bivens remedy for Plaintiff’s First Amendment claims. There are alternative, existing remedies and established procedures for protecting the interests. For example, Plaintiff may attempt to seek relief under the Federal Tort Claims Act. There “is no reason to rely on a court-created remedy, like Bivens, when Congress has created an adequate means for obtaining legal redress.” Simmat v. U.S. Bureau of Prisons, 413 F.3d 1225, 1233, 1234 (10th Cir. 2005); see also Schweiker v. Chilicky, 487 U.S. 412, 421-22 (1988) (observing that “[t]he absence of statutory relief for a constitutional violation . . . does not by any means necessarily imply that courts should award money damages against the officers responsible for the violation,” and also noting that the Court’s “more recent decisions have responded cautiously to suggestions that Bivens remedies be extended into new contexts”). (dismissing plaintiff’s First Amendment claim for damages); Blackman v. Torres, No. 11-cv-02066-REB-BNB, 2013 WL 941830, *2 (D. Colo. Mar. 11, 2013) (order declining to find Bivens remedy for First Amendment claim). Plaintiff bears the burden to establish that the Court has subject matter jurisdiction to award the relief he seeks. See Basso v. Utah Power & Light Co., 495 F.2d 906, 909 (10th Cir.1974). The United States and its officers and employees can be sued only when there has been A waiver of sovereign immunity “must be unequivocally expressed in statutory text.” Lane v. Pena, 518 U.S. 187, 192 (1996). RFRA states that “[a] person whose religious exercise has been burdened in violation of this section may assert that violation as a claim or defense in a judicial proceeding and obtain appropriate relief against a government.” 42 U.S.C. § 2000bb-1(c) (emphasis added). In Sossamon v. Texas, 131 S. Ct. 1651 (2011), the Supreme Court held that the “appropriate relief” provision of RLUIPA – which is identical to the “appropriate relief” provision in RFRA – was not “the unequivocal expression” of consent for states to “waive their sovereign immunity to suits for damages.” Id. at 1659-60 (rejecting RLUIPA claim for damages against prison officials sued in their official capacities); see also 42 U.S.C. § 2000cc-2(a) (corollary RLUIPA “appropriate relief” provision). RFRA does not create a remedy for money damages. See, e.g., Oklevueha Native American Church of Hawaii, Inc. v. Holder, 676 F.3d 829, 841 (9th Cir. 2012) (“appropriate relief” provision does not allow suits for monetary damages under RFRA); Webman v. Fed. Bureau of Prisons, 441 F.3d 1022, 1026 (D.C. Cir. 2006) (holding that RFRA does not waive sovereign immunity for monetary damages because the “appropriate relief” provision is not an “unambiguous waiver”); Burke v. Lappin, 821 F. Supp. 2d 244, 247 (D.C. 2011) (dismissing RFRA claim for lack of subject matter jurisdiction because RFRA did not waive federal government’s sovereign immunity for damages); cf. Stewart v. Beach, 701 F.3d 1322, 1334 (10th Cir. 2012) (RLUIPA does not authorize suits for money damages). RFRA does not waive the government’s immunity with respect to monetary damages. dismissed to the extent Plaintiff seeks money damages as relief. See Doc. 10 at 32 (claiming to seek money damages against the individual defendants). IV. Plaintiff Has Not Plausibly Pleaded a Procedural Due Process Claim. In Claim Five, Plaintiff claims that the imposition of the July 2010 and January 2013 mail restrictions violated procedural due process because he did not have a prior opportunity to be heard. He claims that a BOP regulation “codifies the constitutional requirement that a hearing be held before placing an inmate on restricted general correspondence status.” Doc. 10 at ¶ 85 (citing 28 C.F.R. § 540.15(c)). Plaintiff is wrong, on both counts. His allegations do not plausibly show that limiting the scope of his social contacts for defined periods of time deprived him of a protected liberty interest. The alleged failure by prison officials to adhere to BOP procedures also does not create a constitutionally-protected liberty interest. To plausibly plead a claim for a violation of procedural due process, a plaintiff bears the burden to allege facts showing that (1) he has been deprived of a protected liberty interest, and that (2) the procedures followed were constitutionally insufficient. See Swarthout v. Cooke, 131 S. Ct. 859, 861 (2011). A liberty interest exists only when an aspect of an inmate’s confinement amounts to an “atypical and significant hardship on the inmate in relation to the ordinary incidents of prison life.” Sandin v. Conner, 515 U.S. 472, 484 (1995). “The Due Process Clause standing alone confers no liberty interest in freedom from state action taken ‘within the sentence imposed.’” Id. at 480 (quoting Hewitt v. Helms, 459 U.S. 460, 468 (1983)). Under these standards, prison conditions must be severe in order for an inmate to have a liberty interest in avoiding them. The Tenth Circuit has developed a four-factor analysis for evaluating the liberty interest question: (1) whether the conditions relate to and further the government’s legitimate penological interests; (2) whether the conditions are extreme; (3) whether the conditions increase the duration of the inmate’s confinement; and (4) whether the length of time the inmate will be subject to the conditions is indeterminate. Rezaq v. Nalley, 677 F.3d 1001, 1012-13 (10th Cir. 2012) (citing Wilkinson v. Austin, 545 U.S. 209 (2005)); see also Estate of DiMarco v. Wyoming Dep’t of Corrs., 473 F.3d 1334, 1342-44 (10th Cir. 2007). In Rezaq, the Tenth Circuit held that the conditions in the ADX general population units – where Plaintiff is housed – do not deprive inmates of a liberty interest. Rezaq, 677 F.3d at 1012-17. First, Plaintiff has alleged no facts plausibly showing that the two past restrictions did not relate to and further the BOP’s legitimate penological interest in protecting security, especially the security of the public. See Ex. 1 at 1; Ex. 2 at 1(explaining reasons for the restrictions). Plaintiff acknowledges that the impetus for both sets of restrictions was his desire to resume a position of authority and to provide guidance to adherents of Creativity (see Doc. 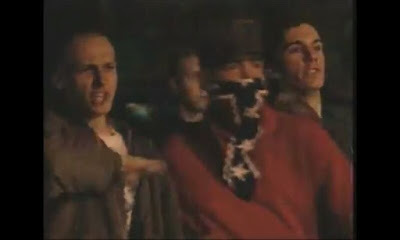 10 at ¶¶ 31, 43), a group associated with racially-motivated acts of violence. Prison officials are allowed to consider this information, as well as Plaintiff’s own criminal conduct, in deciding how to manage his communications. See Sattar v. Holder, No. 07-cv-02698-PAB-KLM, 2012 WL 882401, *8 (D. Colo. Mar. 15, 2012). The facts the Court can consider on a motion to dismiss show a connection between the previous mail restrictions and the BOP’s legitimate security interest in preventing Plaintiff from leading and directing the Creativity Movement from the ADX. Plaintiff has alleged no facts plausibly showing that the former restrictions were “extreme.” Rezaq, 677 F.3d at 1014. Just like the inmates in Rezaq, Plaintiff is housed in an ADX general population unit where the living conditions are not extreme “as a matter of law.”Id. at 1015. The past restrictions on Plaintiff’s social mail do not alter that conclusion. Notably, Plaintiff does not allege that he was prohibited from writing and receiving any correspondence Limiting Plaintiff’s social mail – after he expressed an intention to lead people outside the prison who willingly follow his directives – is not an extreme condition for an inmate with Plaintiff’s criminal history and connections. The social mail of inmates whose communications are deemed to pose dangers can be restricted without triggering a protected liberty interest. See Sattar, 2012 WL 882401, at *10 (SAMs that limited an inmate’s social contacts and that imposed other restrictions on his communications did not implicate a liberty interest); accord Gowadia v. Stearns, No. 13-cv-00077-KMT, 2014 WL 959487, *10 (D. Colo. Mar. 12, 2014); Yousef v. United States, No. 12-cv-2585-RPM, 2014 WL 1908711, *5 (D. Colo. May 13, 2014), relief from judgment denied, 2014 WL 2892251 (D. Colo. June 26, 2014). Plaintiff’s allegations do not satisfy the extremity factor of the liberty interest test. Under the third factor, the prior restrictions on Plaintiff’s social mail did not increase the length of his confinement. Rezaq, 677 F.3d at 1016; see also 28 C.F.R. § 540.15 (no reference to length of confinement). Plaintiff’s allegations do not satisfy the third factor. In sum, Plaintiff has failed to allege the deprivation of a liberty interest. Therefore, the Court need not consider the “process” element. See Saucier, 533 U.S. at 201. The Court should dismiss Plaintiff’s procedural due process claim against all Defendants. The alleged non-compliance with a BOP regulation (see Doc. 10 at ¶ 85) also shows no violation of due process. The Tenth Circuit has emphasized that “a failure to adhere to administrative regulations does not equate to a constitutional violation.” See, e.g., Hovater v. Robinson, 1 F.3d 1063, 1068 n.4 (10th Cir. 1993); Sanchez v. Perrill, 52 F.3d 338, 1995 WL 238350, *1 (10th Cir. April 24, 1995) (declining to find a liberty interest in BOP regulations); see also Sandin, 515 U.S. at 481-82 (finding that prison regulations are “primarily designed to guide correctional officials in the administration of a prison,” not “to confer rights on inmates”). “hearing” prior to the imposition of the restrictions (Doc. 10 at ¶ 85) states no claim for relief. Plaintiff alleges no facts that plausibly show the deprivation of a liberty interest. Therefore, he has not plausibly alleged a violation of procedural due process. See Plumhoff, 134 S. Ct. at 2023 (first prong of burden required to overcome assertion of qualified immunity is to show that government official violated a constitutional right). The individual defendants are entitled to qualified immunity. Plaintiff purports to bring a due process claim against the BOP and all of the individual defendants. Doc. 10 at ¶ 86 (asserting that “the defendants deprived him of his liberty interest without due process of law”). He bears the burden to show that each named defendant personally engaged in conduct that violated Plaintiff’s rights. This claim challenges the process by which the mail restrictions were imposed. But Plaintiff alleges no facts identifying what actions each of the individual defendants took that adversely affected that process. The well-pleaded facts show that the warden was responsible for the process for imposing the restrictions. See Exs. 1 and 2 (warden notifies Plaintiff of restrictions); see also 28 C.F.R. § 540.15(c) (stating the “[t]he Warden shall use one of the following procedures . . .”). Plaintiff’s unadorned allegation that the other individual defendants violated his procedural due process rights is insufficient to show “exactly who is alleged to have done what to whom.” Robbins, 519 F.3d at 1250. The Court should dismiss the procedural due process claim against Defendants Synsvoll, Brieschke, Kuta, Milusnic, Rangel, Heim, Smith, Redden, Krist and Tuttoilmondo because Plaintiff has not plausibly alleged how those defendants personally engaged in conduct that violated his due process rights. For the same reasons set forth in Argument § III.F, supra, any aspect of the due process claim based on the restrictions that were imposed in July 2010 and removed in January 2011 is time-barred. U.S. at 74 (rejecting Bivens remedy for procedural due process violation); Allmon, 2013 WL 1149507, **5-6; see also Argument § III.G., supra.V. Plaintiff Has Not Pleaded a Plausible Equal Protection Claim. Claim Six, an equal protection claim brought against all Defendants, breaks into two components. One piece of the claim alleges that Defendants allow inmates who espouse Christianity, Islam, Judaism, and the Nation of Islam faith to practice their religions, but that Plaintiff is not allowed to practice Creativity because Defendants “disdain his particular religion and church.” See generally Doc. 10 at ¶¶ 96-104; id. at ¶ 97 (asserting that, had Plaintiff “been a Christian, Muslim, or Jew instead of a Creator, the defendants would not have imposed the mail bans or denied him his scripture”). This part of the equal protection claim fails because Plaintiff has alleged no facts showing that Creativity is a religion entitled to constitutional protection, and the individual defendants are entitled to qualified immunity. See Argument §§ I-II, supra. The other piece of Claim Six is based on allegations that inmates who are members of the Nation of Islam can watch videos and religious programs on the ADX closed-circuit television system. Doc. 10 at ¶¶ 92-93. Plaintiff alleges that the videos provide an address for the Nation of Islam “so that black prisoners may be able to write and get involved with that organization” – but Plaintiff does not identify a single inmate who has obtained that literature, nor does he describe what its content might be. Id. at ¶ 93. Plaintiff then contrasts the availability of these ADX television programs with the fact that his “mail rights” were taken away because he espouses “White pride and White separatism.” Id. at ¶ 94. He claims that, if he were black and if he were an “ordained minister of a black-oriented church, the defendants would not have imposed the bans on his mail” or denied “his religious scripture.” Id. at ¶ 95. These conclusory and speculative allegations, which bear no logical connection to the fact that ADX inmates can view certain television programs, state no plausible equal protection claim. An equal protection violation occurs when a government entity treats someone differently than another who is “similarly situated.” City of Cleburne v. Cleburne Living Ctr., 473 U.S. 432, 439 (1985). Equal protection claims based on “suspect classifications” such as “race, alienage, or national origin . . . are subjected to strict scrutiny and will be sustained only if they are suitably tailored to serve a compelling state interest.” Id. at 440. Plaintiff speculates that if he were black he would have been treated differently, but he fails to identify a single black prisoner similarly situated to him who was treated differently. Even if Plaintiff were correct that prisoners can watch “black separatist programs” on television (Doc. 10 at ¶ 94), that fact does not plausibly indicate the existence of any African-American inmate who is similarly situated to Plaintiff in the way that is material here: i.e., who has been allowed to function as the supreme head of his “church” and to send “sermons” to a group of followers prepared to do his bidding upon his issuing the word. In essence, Plaintiff is simply imagining that such an African-American prisoner exists, and asks the Court to accept this sheer conjecture as the basis for an equal protection claim. But he alleges no facts plausibly showing that any of his imaginings are grounded in reality. Where a classification does not fall in the category of a suspect classification, it “is accorded a strong presumption of validity” and “must be upheld against equal protection challenge if there is any reasonably conceivable state of facts that could provide a rational basis for the classification.” Heller v. Doe, 509 U.S. 312, 319-20 (1993) (quotation omitted). Under rational basis review, Plaintiff must allege facts plausibly showing that he is “similarly situated” to another inmate with whom he compares himself, and “that the difference in treatment was not ‘reasonably related to legitimate penological interests.’” Templeman v. Gunter, 16 F.3d 367, 371 (10th Cir. 1994) (quoting Turner v. Safley, 482 U.S. 78, 89 (1987)); accord, e.g., Fogle v.Pierson, 435 F.3d 1252, 1261 (10th Cir. 2006). In order to plausibly allege that another inmate is “similarly situated” to him, a plaintiff’s allegations must articulate a high degree of similarity between the plaintiff and a specifically-identified comparator. The inmate’s allegations must plausibly establish that the prisoner with whom he compares himself is similar to him “in every relevant respect.” Templeman, 16 F.3d at 371 (emphasis added); see also, e.g., Freeman v. Watkins, No. 06-cv-00405-MSK-KMT, 2010 WL 1790427, *10 (D. Colo. May 4, 2010) (“Mr. Freeman’s conclusory statement that he was treated differently from other similarly situated prisoners is not sufficient to establish the first element [of an equal protection claim]. He does not specifically identify any similarly situated individuals . . . “), order vacated in part on other grounds, 2010 WL 4781156 (D. Colo. Nov. 17, 2010). Templeman affirmed the dismissal of an inmate’s equal protection claim because his assertion that “there are no relevant differences between him and other inmates that reasonably might account for their different treatment is not plausible or arguable.” Id. (citation omitted); accord Fogle, 435 F.3d at 1261. In other words, if the inmate’s allegations do not plausibly foreclose the existence of all relevant differences between the inmate and a specifically-identified comparator, the complaint has not alleged a viable equal protection claim. See, e.g., Templeman, 16 F.3d at 371. Critically, even “slight differences in [inmates’] histories” make them not “similarly situated” for purposes of the first element of an equal protection claim. Id. To satisfy the second element, that any differences in treatment were not reasonably related to legitimate penological interests, the inmate must allege facts plausibly showing that he has overcome the strong presumption of government rationality in the management of prison affairs. See Brown v. Zavaras, 63 F.3d 967, 971 (10th Cir. 1995). In the Court’s assessment of whether the well-pleaded facts overcome the presumption of rationality, the professional judgment of prison officials receives deference. See, e.g., Overton, 539 U.S. at 132. Overcoming the presumption of rationality in the equal protection context requires substantially more than the conclusory assertion that another inmate was treated differently. See Gee, 627 F.3d at 1185. The Court does not have “the option to speculate as to whether some other scheme could have better regulated the evils in question.” KT&G Corp. v. Attorney General of Okla., 535 F.3d 1114, 1138 (10th Cir. 2008). scripture” (Doc. 10 at ¶¶ 93-95), do not satisfy either element of an equal protection claim. Plaintiff has not specifically identified any comparator inmate. He has not alleged that the unidentified inmates are similarly situated to him in every relevant respect, nor do his allegations plausibly foreclose the existence of all relevant differences between Plaintiff and the unidentified comparators. Plaintiff does not allege that any of the comparators seeks a leadership role in a group with a demonstrable history of violence. He does not allege that any of the inmates desire to provide guidance to a group outside the prison, or that they are in a position to motivate and direct a group of followers. Even “slight differences in [inmates’] histories” make them not “similarly situated” for purposes of the first element of an equal protection claim. Templeman, 16 F.3d at 371. Plaintiff’s allegations also do not plausibly establish the second element. As discussed throughout this motion, his allegations do not plausibly show the absence of a rational connection between the decisions about his confinement and the BOP’s legitimate penological interest in protecting the safety of the public. His conclusory assertion that he would have been treated differently if he had been another prisoner or an “ordained minister” of another church is insufficient, particularly where the judgment of prison officials about security matters receives deference. The Court should dismiss Claim Six. Plaintiff alleges no facts that plausibly show a violation of a constitutional right. See Plumhoff, 134 S. Ct. at 2023. The individual defendants are entitled to qualified immunity. No law would have put every reasonable officer on notice that it would be unlawful to allow prisoners (who are not alleged to have posed any security risks) to watch videos and write to representatives of the Nation of Islam, but not permit Plaintiff to lead his followers or to have access to inflammatory material associated with a violent group. The individual defendants are entitled to qualified immunity. Plaintiff purports to bring the equal protection claim against the BOP and all of the individual defendants. Doc. 10 at ¶ 86 (asserting that “the defendants” treat Plaintiff “worse than similarly-situated prisoners”). He bears the burden to show that each named defendant personally engaged in conduct that violated his rights. Plaintiff does not allege which of the individual defendants allegedly decided that ADX inmates could be allowed to watch certain videos or to write to the offices of the Nation of Islam – if indeed any Defendant is responsible for such a decision. He has not identified “exactly who is alleged to have done what to whom.” Robbins, 519 F.3d at 1250. The Court should dismiss the equal protection claim against the individual defendants because Plaintiff has alleged no facts plausibly showing how any of them personally participated in the alleged violation of his equal protection rights. VI. Plaintiff Has Not Pleaded a Plausible Eighth Amendment Claim. In Claim Eleven, Plaintiff contends that the previous restrictions on his social mail, in combination with his confinement in the ADX, violate the Eighth Amendment. These allegations do not plausibly show that Plaintiff has been subjected to cruel and unusual punishment. “The objective component requires conditions sufficiently serious so as to deprive inmates of the minimal civilized measure of life’s necessities.” Rhodes v. Chapman, 452 U.S. 337, 347 (1981). In the alternative, “a condition must be sufficiently serious so as [to] constitute a substantial risk of serious harm.” Shannon, 257 F.3d at 1168 (citing Helling v. McKinney, 509 U.S. 25, 33-35 (1993)). The subjective component requires that a prison official have a culpable state of mind and act with deliberate indifference to inmate health or safety. Wilson v. Seiter, 501 U.S. 294, 297 (1991). This component is met if the inmate shows that a prison official “knew he faced a substantial risk of harm and disregarded that risk ‘by failing to take reasonable measures to abate it.’” Hunt v. Uphoff, 199 F.3d 1220, 1224 (10th Cir. 1999) (quoting Farmer, 511 U.S. at 847). This element “entails something more than mere negligence . . . [but] something less than acts or omissions for the very purpose of causing harm or with the knowledge that harm will result.” Farmer, 511 U.S. at 835. Even for an official-capacity claim against the BOP, Plaintiff must still plead sufficient facts showing that some BOP official had the requisite subjective intent. Farmer stands for the proposition that in a claim seeking injunctive relief, a plaintiff attempting to allege deliberate indifference must plead sufficient facts showing that some specific employee had the requisite subjective intent. See 511 U.S. at 845-47 (noting that the subjective component is a necessary element of deliberate indifference claims for both individual capacity claims for damages as well as official capacity claims for injunctive relief); see also Silverstein v. Fed. Bureau of Prisons, 559 F. App’x 739, 741, 759 (10th Cir. 2014) applying subjective component to Eighth Amendment claim against the BOP and finding no subjective intent “because the BOP has indisputably taken reasonable efforts to avoid or alleviate the potential for substantial serious harm”). In assessing whether prison conditions amount to cruel and unusual punishment, the Tenth Circuit very recently has reiterated that courts “must accord substantial deference to the professional judgment of prison administrators”: “[T]he courts should not substitute their judgment for that of officials who have made a considered choice.… The government’s first obligation must be to ensure the safety of guards and prison personnel, the public, and the prisoners themselves.” Silverstein, 559 F. App’x at 754; see also id. at 762 (rejecting Eighth Amendment claim based on inmate’s alleged solitary confinement of 30 years’ duration, and deferring to the BOP’s judgment that “releasing him into the open prison population . . . would impair its ability to protect all who are inside the prison’s walls”). Plaintiff has not alleged that he has been deprived of “the minimal civilized measure of life’s necessities,” i.e., food, clothing shelter, medical care or safety. Other ADX inmates have attempted to bring Eighth Amendment claims very similar to the one Plaintiff seeks to bring here, based on their alleged “solitary confinement” at the ADX while subject to restrictions on their communications. This Court has rejected such claims. See Mohammed, 2011 WL 4501959, at *13 (finding no violation of the Eighth Amendment where inmate asserted “that the isolation and depression he feels as a result of the entirety of the restrictions upon him, including the SAMs limitations on his communications, amount to cruel and unusual punishment”); Al-Owhali v. Mukasey, No. 07-cv-02214-LTB-BNB, 2010 WL 5651033, *10 (D. Colo. June 17, 2010) (finding that SAMs inmate failed to state a plausible Eighth Amendment claim because he did not allege that he had “been deprived of adequate food, clothing, shelter, medical care, or safety measures”), adopted in part, 2011 WL 1833104, aff’d, 687 F.3d 1236 (10th Cir. 2012). Plaintiff fails to state an Eighth Amendment claim for the same reasons. He contends that “[t]aking away a prisoner’s personal mail who is already in solitary confinement . . . is cruel and unusual.” Doc. 10 at ¶ 130. But even if communicating with other people amounts to a basic human need for purposes of the Eighth Amendment, the facts show that the past limitations on his social correspondence did not totally isolate him or deprive him of all association with his family and others. See Al-Owhali, 2010 WL 5651033, at **10-11 (in granting motion to dismiss Eighth Amendment claim, finding that the SAMs did not deprive inmate of communications with others; that he had access to reading materials, television and radio; and that his alleged depressive reaction to his conditions showed no deprivation of the minimal civilized measure of life’s necessities) (citing Magluta v. U.S. Fed. Bureau of Prisons, No. 08-cv-00404-CMA-MJW, 2009 WL 1504749, *7 (D. Colo. May 28, 2009)). In sum, Plaintiff has not alleged a deprivation of life’s necessities. Plaintiff’s allegations also fail to satisfy the subjective element. He has alleged no facts plausibly indicating that any prison official had a “culpable state of mind” in making decisions about his mail. The well-pleaded facts here show that decisions about how to manage Plaintiff’s correspondence were motivated by the legitimate penological interest in protecting the public from being harmed by his written communications. That motivation does not reflect a culpable state of mind. The Court should dismiss Claim Eleven. 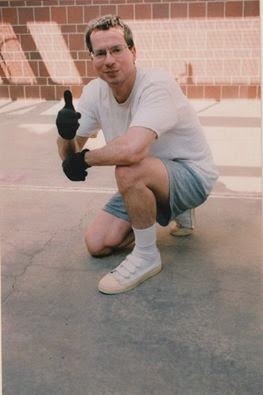 No law would have put every reasonable officer on notice that it would be unlawful to restrict the written correspondence of an ADX inmate with Plaintiff’s criminal history, who had proclaimed his intention to reassert himself as the “Pontifex Maximus” of the Creativity Movement and to guide and direct the adherents of that movement outside the prison. The individual defendants are entitled to qualified immunity. Plaintiff purports to bring the Eighth Amendment claim against the BOP and all of the individual defendants. Doc. 10 at ¶ 130 (asserting that “the defendants have an obligation to refrain from imposing additional onerous conditions upon [Plaintiff’s] confinement”). He bears the burden to show that each named defendant personally engaged in conduct that violated his rights. Plaintiff has not attempted to set forth any facts that demonstrate a culpable state of mind as to each individual defendant. See generally Doc. 10 at ¶¶ 128-130. His general allegations – that Defendants had “an obligation” not to restrict his correspondence and that there is no evidence “that he has committed, or attempted to commit, any illegal or unlawful activity” (id. at ¶ 130) – do not explain the state of mind of any defendant or attempt to connect his or her state of mind to an action that allegedly violated the Constitution. The Court should dismiss Claim Eleven against the individual defendants for failure to allege their personal participation. VII. Plaintiff Has Not Pleaded a Plausible Facial Challenge to the Regulation. Plaintiff purports to bring a facial challenge to 28 C.F.R § 540.15, the regulation that authorizes a prison warden to place an inmate on Restricted General Correspondence status. See Doc. 10 at 32. But Plaintiff’s factual allegations focus entirely on the regulation as applied to him; he does not allege any facts concerning the validity of the regulation generally. He has not met his burden to allege facts showing that that the regulation fails the four-factor rationality test set forth in Turner. Plaintiff bears the burden to allege facts showing that the regulation is facially invalid. “[T]he burden . . . is not on the State to prove the validity of prison regulations but on the prisoner to disprove it.” Overton, 539 U.S. at 132; see also Al-Owhali, 687 F.3d at 1240 (to survive a motion to dismiss, inmate required to allege facts plausibly showing that communications restrictions were not reasonably related to legitimate penological interests). To meet this burden, Plaintiff needed to allege facts showing that (1) the regulation does not bear a valid, rational connection to a legitimate, neutral governmental interest put forward to justify it; (2) there are no alternative means of exercising the right at issue that remain open to inmates; (3) accommodating the right will not have a negative impact on others; and (4) there are obvious, easy alternatives to the regulation that will fully accommodate the prisoner’s rights at de minimis cost to valid penological interests. See Turner, 482 U.S. at 89-92; see also Thornburgh, 490 U.S. at 414-419 (applying Turner factors to assess a facial challenge to BOP regulations governing receipt of subscription publications by inmates, and upholding validity of the regulations). The regulation authorizes a prison warden to impose limits on an inmate’s social mail for reasons that include the safety and security of the prison and persons outside the prison. “Determining factors” for initiating the restriction include: the inmate has been found to be a “security risk”; the inmate has threatened a government official; the inmate has committed an offense involving the mail; and the inmate’s previous incoming or outgoing correspondence has been rejected because it was “determined detrimental to the security, good order, or discipline of the institution, to the protection of the public, or if it might facilitate criminal activity.” See 28 C.F.R. § 540.15(a); see also § 540.14(d) (listing eight non-exclusive grounds for rejecting mail). Plaintiff has alleged no facts showing the absence of a valid, rational connection between the regulation and the legitimate security interests identified in the regulation. He has not alleged that the BOP lacks a legitimate penological interest in maintaining the security of its prisons; in protecting people outside the prison (including government officials); or in preventing an inmate from sending social correspondence that “may lead to the use of physical violence or group disruption” or that would convey “plans to commit illegal activities.” See id. ; see also Thornburgh, 490 U.S. at 415 (finding that “[t]he legitimacy of the Government’s purpose in promulgating these regulations is beyond question,” and recognizing that protecting prison security “is a purpose “central to all other corrections goals”); Rezaq, 677 F.3d at 1014 (recognizing the BOP’s “uniquely federal penological interest in addressing national security risks”). Nor has Plaintiff alleged that the governmental interests advanced by the regulation are not “neutral,” as that term is used in Turner. See 482 U.S. at 90 (“[T]he governmental objective must be a legitimate and neutral one.”). In Thornburgh, the Supreme Court explained that “the Court’s reference to ‘neutrality’ in Turner was intended to go no further than . . . [the] requirement that the regulation or practice in question must further an important or substantial governmental interest unrelated to the suppression of expression.” See 490 U.S. at 415 (citation and internal quotation marks omitted). Where “prison administrators draw distinctions between publications solely on the basis of their potential implications for prison security, the regulations are ‘neutral’ in the technical sense in which we meant and used that term in Turner.” Id. at 415-16. In other words, if the governmental objective is the protection of the safety and security of persons outside the prison, then the objective is “content-neutral” for purposes of the First Amendment analysis, even if it incidentally restricts access to a particular type of speech because of its content. See Amatel v. Reno, 156 F.3d 192, 197-98 (D.C. Cir. 1998) (finding, in upholding BOP regulation preventing inmates from obtaining sexually explicit material, “[t]he rehabilitative interest offered by the government here meets this rather thin neutrality requirement”). purpose of protecting legitimate security interests. Plaintiff has failed to allege facts sufficient to meet his burden on the first Turner factor. Plaintiff has alleged no facts plausibly showing that the regulation eliminates an inmate’s “alternative means” of exercising his First Amendment rights. See Turner, 482 U.S. at 90. Here … [t]he record establishes that respondents are not deprived of all forms of religious exercise, but instead freely observe a number of their religious obligations.”); Thornburgh, 490 U.S. at 418 (observing that, in Turner, “it was sufficient if other means of expression (not necessarily other means of communicating with inmates in other prisons) remained available,” and holding that the second factor was satisfied in a challenge to a prison restriction on federal prisoners’ access to publications because “the regulations at issue … permit a broad range of publications to be sent, received, and read”). Here, Plaintiff has not alleged that the regulation prohibits “all means of expression.” An inmate under Restricted General Correspondence status is not entirely prohibited from engaging in social correspondence with others, in most cases. See 28 C.F.R. § 540.15(d). The regulation also does not prohibit other forms of social communication, such as telephone calls and social visits, and it does not affect an inmate’s ability to communicate with people inside the prison. Plaintiff has failed to allege facts sufficient to meet his burden on the second Turner factor. Plaintiff has alleged no facts plausibly showing that accommodating the asserted constitutional right – i.e., unfettered inmate access to communications by social mail – would not compromise the BOP’s legitimate security interests. See Turner, 482 U.S. at 90 (stating that “[a] third consideration is the impact accommodation of the asserted constitutional right will have on guards and other inmates, and on the allocation of prison resources generally”). Depriving a prison warden of the ability to impose limits on an inmate’s social mail has an “impact” on others, particularly those persons outside the prison who might be harmed as a consequence of directives or messages passed by social mail. Plaintiff has not alleged any facts plausibly showing that the abolition of the Restricted General Correspondence status would not have a negative impact on the BOP’s legitimate penological interest in protecting security. Plaintiff has failed to allege facts sufficient to meet his burden on the third Turner factor. Plaintiff has made no attempt to allege any facts showing an “obvious, easy alternative” to a regulation that vests discretion in a warden to decide when an inmate’s social correspondence must be limited to prevent dangerous consequences to others. See Turner, 482 U.S. at 90 (“the absence of ready alternatives is evidence of the reasonableness of a prison regulation”); see also Thornburgh, 490 U.S. at 416 (concluding “that the broad discretion accorded prison wardens by the regulations . . . is rationally related to security interests). Plaintiff alleges nothing more than the conclusory statement that the regulation “is unconstitutional on its face.” See Doc. 10 at 32. To state a claim challenging the facial validity of the regulation, Plaintiff has the burden to plead facts positing another scheme that would accommodate the BOP’s legitimate penological interests in preserving security and protecting the public at de minimis cost to those interests. See Turner, 482 U.S. at 91. The only plausible inference that can be drawn from Plaintiff’s pleading is that his alternative proposal seeks the complete elimination of the regulation, thus creating a prison environment in which no inmate’s social mail could be restricted at any time. Such a scheme would not be an “obvious, easy alternative” that could be implemented at de minimis costs to valid penological interests. Plaintiff has failed to allege facts sufficient to meet his burden on the fourth Turner factor. In sum, Plaintiff has not met his burden to allege facts showing that the regulation is irrational under Turner. See id. at 89-90. The Court should dismiss Plaintiff’s facial challenge to 28 C.F.R. § 540.15. For the foregoing reasons, the Court should dismiss all claims in the complaint against all Defendants, with prejudice. Respectfully submitted this 26th day of September, 2014.